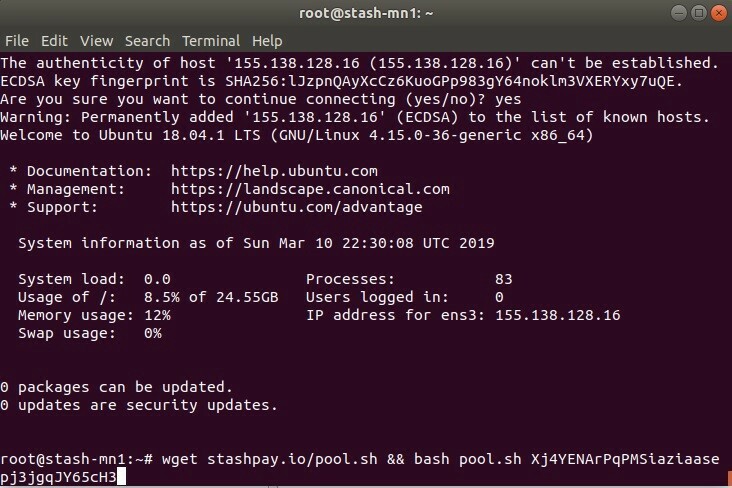 This guide will demonstrate how to set up your own personal Stash mining pool. We will be installing a Stash Core node and a Stratum Pool. 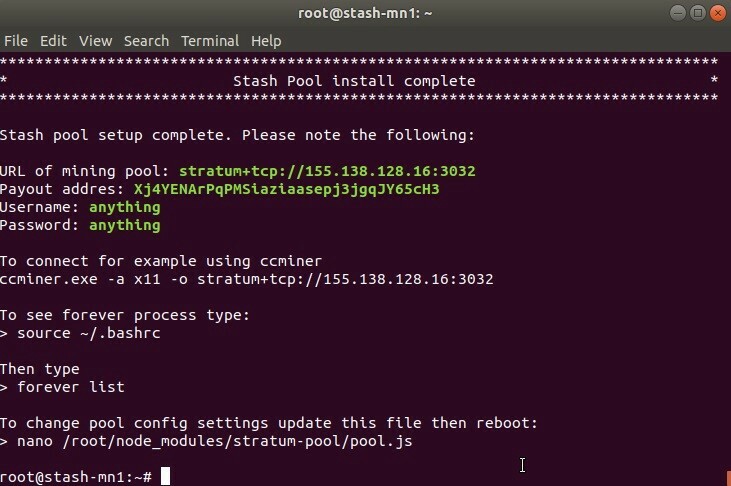 The Stash Core node and the Stratum Pool will be configured to talk to each other. 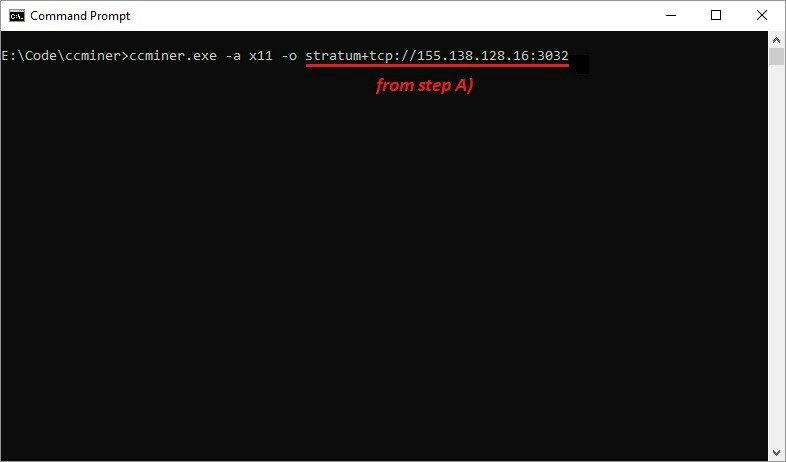 The Stratum Pool will allow miners to connect and start mining Stash. 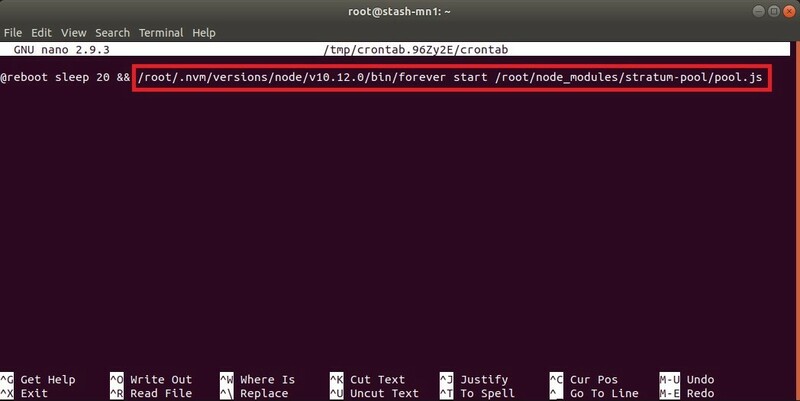 This will take some time as the script automatically installs a Stash Core node and a Stratum Server. 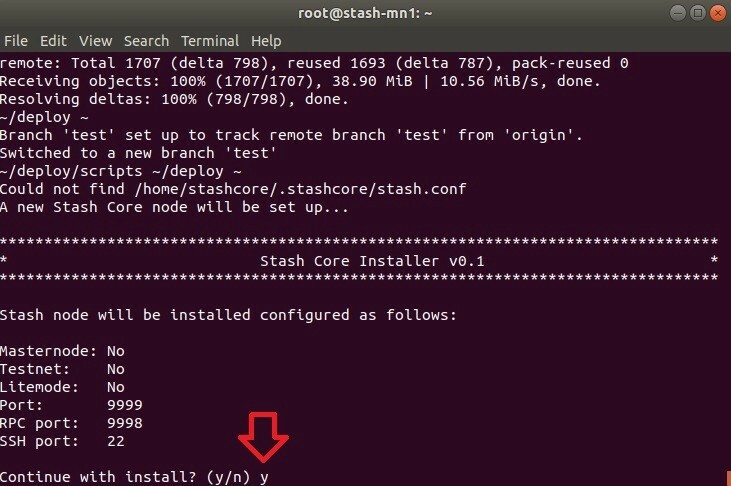 When the installation completes you will see the stratum details needed to connect your miner to the Stash Core node to start mining. We will now connect our miner to our mining pool. Which mining software you use will depend on your mining hardware and personal preferences. In this example we will use ccminer 2.3 for nVidia GPUs by tpruvot@github. If all goes well your miner should now connect to your pool and start mining. You should see a running process and a log file location. 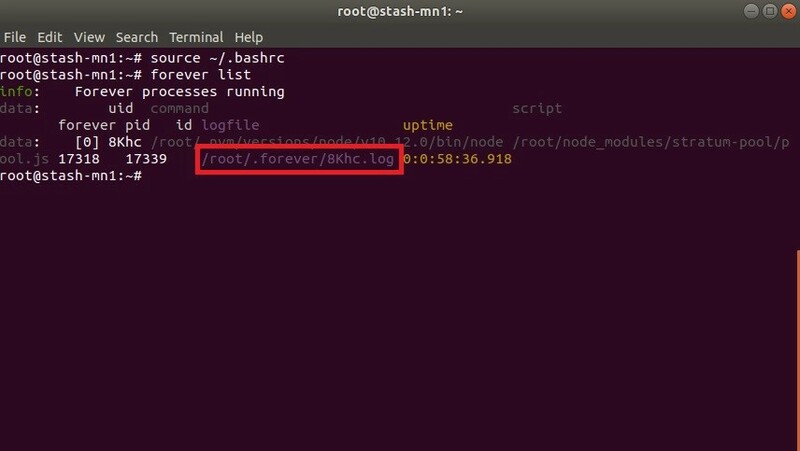 The log file location is randomly generated each time the server reboots and will be different on your server. replacing “[random]” with the letters in your output above. By default the server opens two ports 3032 and 3256. This and many other settings such as difficulty and payout settings can be modified. After making changes reboot your VPS. Originally published at medium.com on March 11, 2019.